HTC’s next virtual reality product will be of the mobile variety but not in the traditional sense of slapping a smartphone into a headset. In an interview with CNET at the HTC U series launch event in Singapore, HTC Chief Financial Officer Chia-lin Chang said the Vive is at the very top end and in the coming months, we’ll see the company’s plans in terms of mobility and virtual reality. The executive added that they’re a VR company and that they’d have their mystery product ready to launch before the end of the year. As it stands today, most VR headsets fall into one of two categories. Entry-level devices like the Samsung Gear VR and Google’s Daydream rely on smartphones to power both the visual and processing aspects of the VR experience whereas high-end standalone headsets like the aforementioned Vive and the Oculus Rift connect to powerful PCs to drive the show. HTC’s upcoming mobile solution sounds as if it would slot somewhere between the two, perhaps using a smartphone for processing power while leaning on integrated displays for the visual experience like the LG 360 VR does when paired with the LG G5. It’s not just about hardware, however, as HTC is also working on another area critical to virtual reality’s success: content. 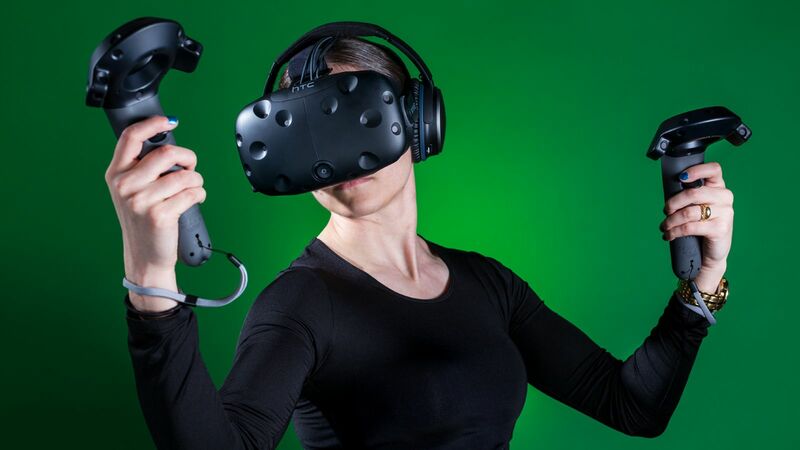 HTC Chairwoman and CEO Cher Wang recently said that they have learned much from their entrance into the world of virtual reality and believe their focused approach to building the ecosystem is the right strategy to enable the industry as a whole to expand through the creation of compelling content and rich experiences.